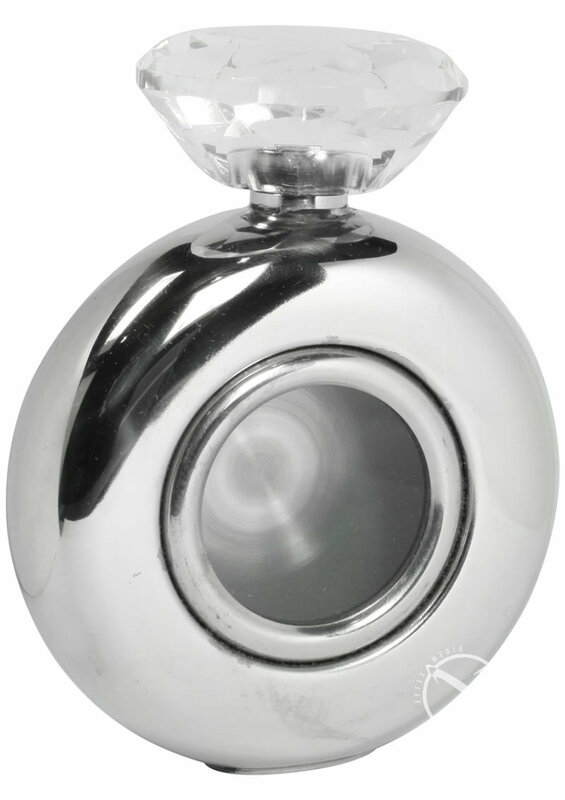 Classy up your favorite spirit with this downright gorgeous, high quality, gem-topped flask, it's just the thing for a night out with the ladies. Shiny, dainty and definitely functional, the Girl's Best Friend holds up to 5 ounces of beverage of choice, a pretty, round little window in front lets you keep an eye on the level. 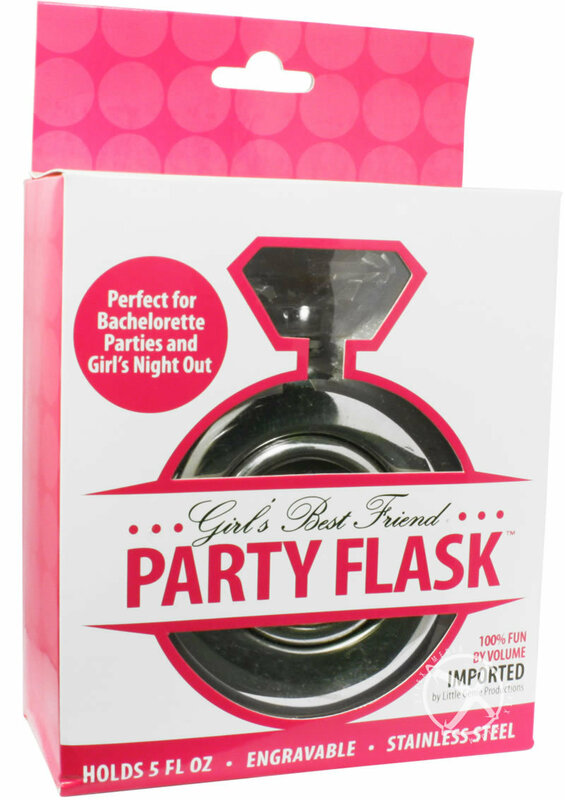 Aside from the obvious, this flask can hold just about liquid, from perfume to massage oil, and look great doing it. For an extra touch of class, have the shiny, mirror-finished backside engraved- needless to say, this would be a perfect gift.